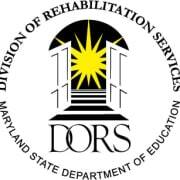 DORS Vision & Mission Our shared vision is that the State of Maryland is the best place in our nation for persons with disabilities to live, work and raise a family. Individuals with disabilities are welcome, fully included and actively participate in all Maryland communities. The mission of DORS is to provide leadership and support in promoting the employment, economic self-sufficiency and independence of individuals with disabilities. Would you recommend Division of Rehabilitation Services?